At the Annual Meet-ing of the Executive Council of Asia Evangelical Alliance (AEA) held last February 26-28, 2019, Bangkok, Thailand, Rev. 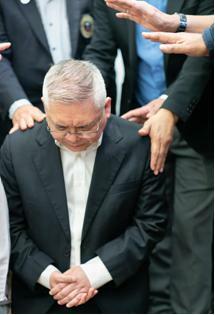 Dr. Bambang Budijanto, was installed as the new General Secretary replacing Rev. Dr. Richard Howell. Dr. Howell who served a fruitful and blessed full decade as General Secretary of AEA, was feted and honoured for his faithful ministry to the Lord and legacy of leadership. 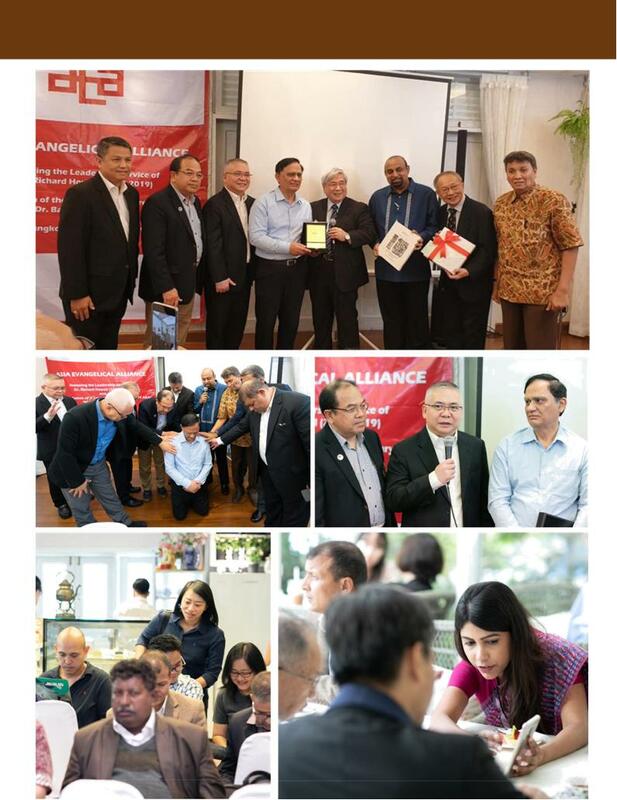 The special program and ceremony was graced by Bishop Efraim Tendero himself, the General Secretary of World Evangelical Alliance in the presence of leaders and executives of Asian National Alliances and Board of Trustees of the host country The Evangelical Fellowship of Thailand, held at Chan and Yupa Tea Room in downtown Bangkok. 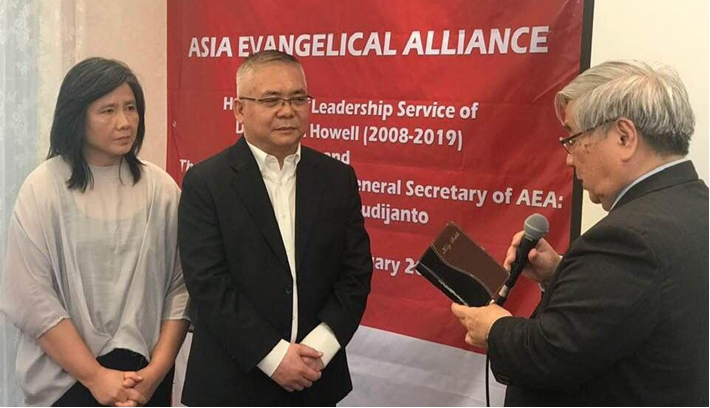 In tears and emotional farewell speech, Dr. Howell thanked AEA family for their support of his leadership and recalled the great faithfulness of God to Asian evangelical family. Dr. Howell will be serving Caleb Institute and Seminary in his home in India for the training of church workers and leaders of India and beyond after his ministry at AEA. Special plaque of Appreciation and gifts from various Asian leaders and alliances were given to him, including a commemorative photo album, a collection of photos and important memoirs of the last ten years. Joined by all the leaders of National Alliances in Asia, Rev. Dr. Paul Ukei, the chair-man of the Asia Evangelical Alliance and Bishop Tendero led the prayers of dedication and blessing for the incoming AEA General Secretary. 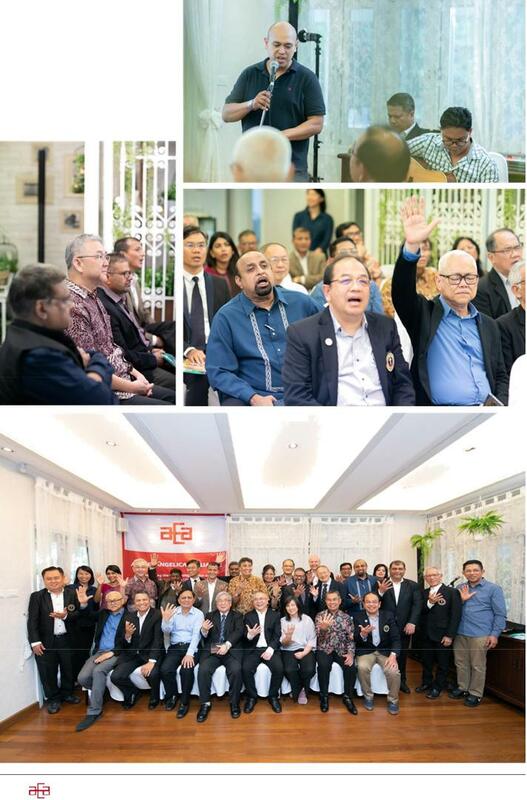 After which, a powerful message and acceptance speech was delivered by Dr. Bambang and passionately expressed his dreams, vision and challenge to AEA leaders to wok togeth-er in the new season of minis-try in Asia.